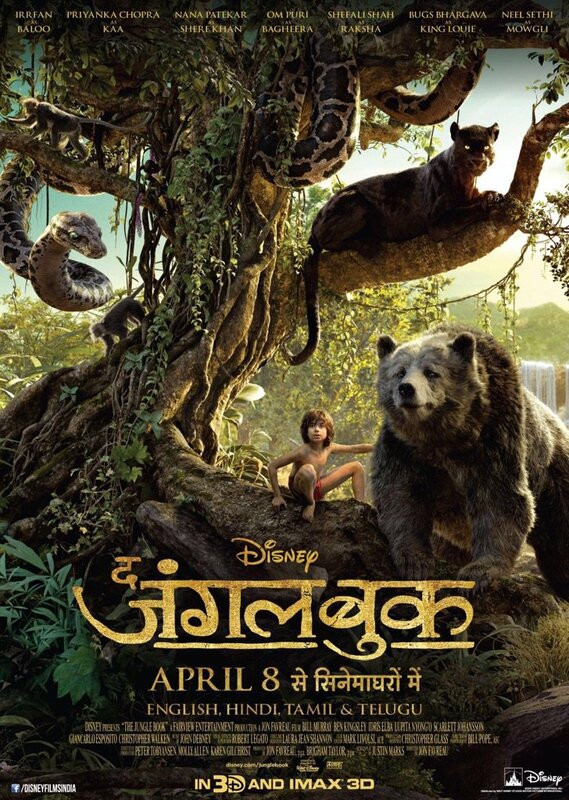 The Jungle Book Official Hindi Poster. Voice over by Irrfan, Priyanka Chopra, Nana Patekar, Om Puri, Shefali Shah & others. what an awesome star cast for Hindi version! If it was releasing alongside Fan, it might have dented its collections as Jungle Bookis an established property in India! Wow.Brilliant poster.Am a big fan of Jungle Book since childhood.Will definitely watch it.Mowgli,Balu,Bagheera,Kaa,Sher Khan! Priyanka Chopra, Irrfan, Nana Patekar, Shefali Shah and Om Puri to lend voice for Hindi dubbed version of Disney India's The Jungle Book.